A week or two before Easter, we went to an egg hunt at Newtown Park. The hunt was split by age so Nick and I split with the kids. I went with Ben and watched him very excitedly gather......1 egg. He was the youngest of his age group and took a split second to "pose" for the camera (see second photo) and basically, by the time he turned around, all the eggs were gone. Lincoln, on the other hand, was in the 0-2 group and gathered at least 15 eggs. Major difference based on who your "competitors" are! The boys had fun though and this opportunity definitely got them excited about Easter. 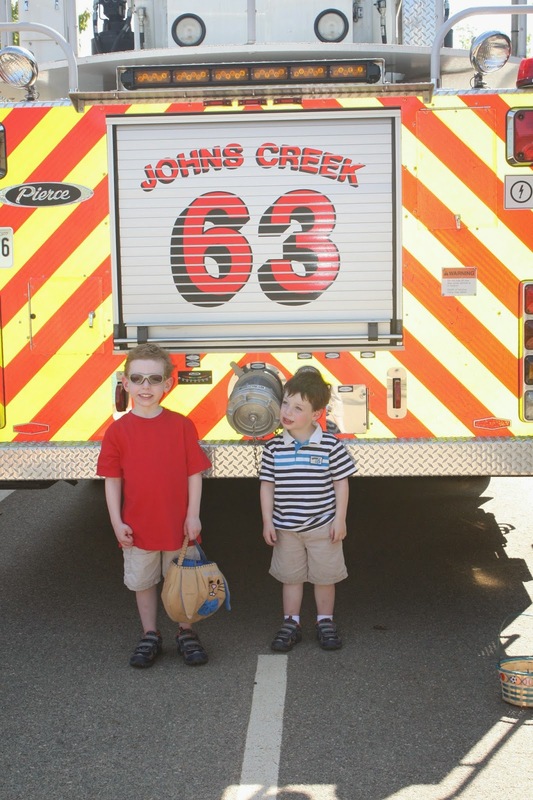 Proving his love for airplanes didn't completely eliminate his love of fire trucks, Ben insisted we get a picture of them behind the fire truck.